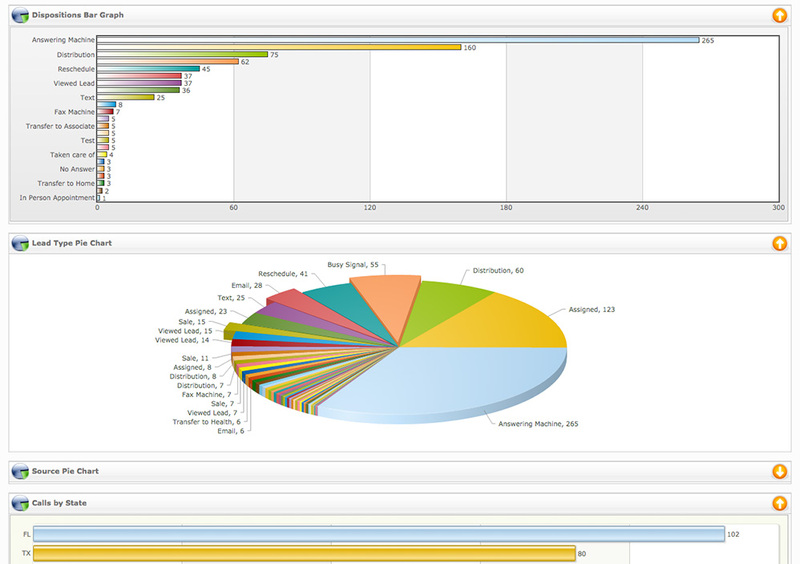 AgencyIntelligence now makes it easier to understand just about every aspect of your agency visually. 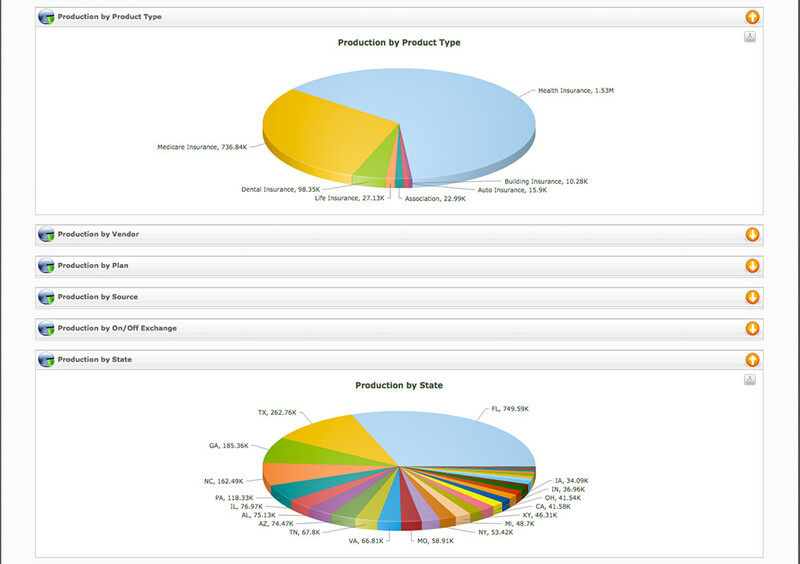 You can run reports for just about anything, allowing you to make important decisions that relate your bottom line. 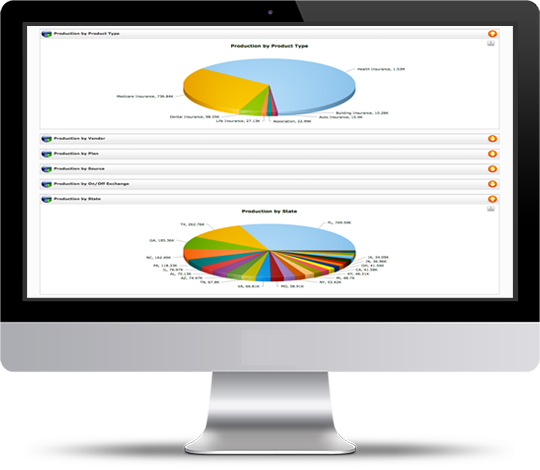 AgencyIntelligence gives you full system reporting and the ability to drill down data from lead sources, lead types, purchase dates and even disposition results. 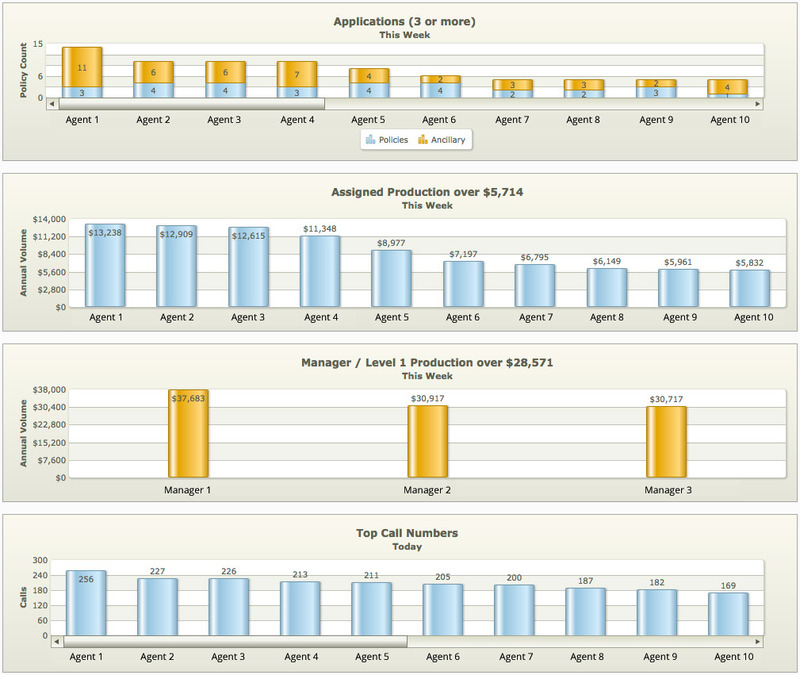 AgencyIntelligence allows you analyze lead conversion data, in total or within a specified criteria. You now have the ability to see which lead campaigns are successful and which are not. Find out which agents are writing the most policies by running a production report. Curious of finding out who made the most calls for the day? Take a look at the top call numbers. 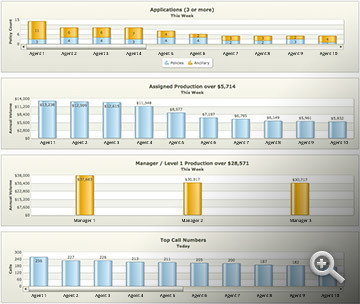 AgencyIntelligence gives you multiple reports and stats on demand, so you can focus on growing your agency.